Hi, I’m Ashley and I’ll be blogging for you this year. Hello everyone, my name is Ashley and I’ve recently taken over blogging responsibilities here in the archaeology department! I am a second year graduate student in the Applied Archaeology program at IUP, and I am very much looking forward to sharing my experiences in the program with all of you this year. 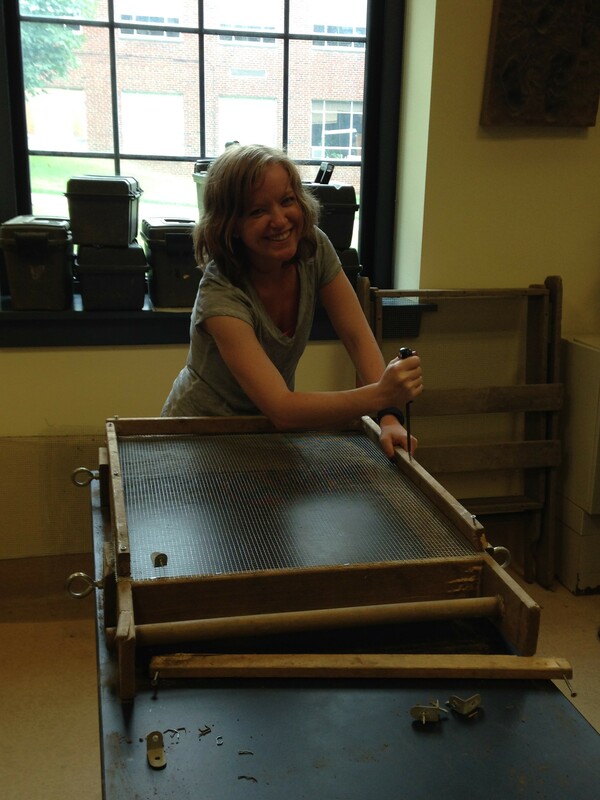 This past summer was a busy one for IUP archaeology grad students, and I’ll be sharing more about the many internships, assistantships, and various jobs we all did a little bit later. For now, however, I wanted to kick off the new semester by writing about what brought us all to IUP for graduate school in the first place. As of now, we have eight second year students and six first year students currently enrolled in the program, all with various backgrounds in archaeology. Some of us came with years of CRM experience, while others had only taken a field school. Some volunteered or completed internships in the field and in the lab, and others traveled overseas to work at sites in places like Spain, Bulgaria, and Ireland. 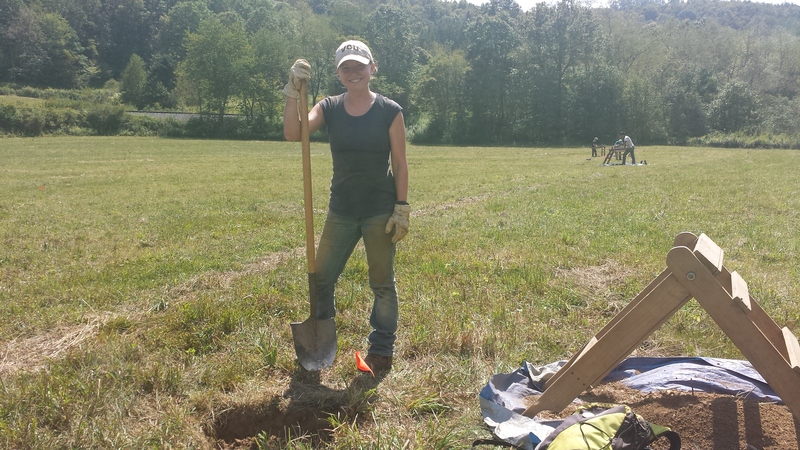 With these incredibly diverse experiences in archaeology under our wings, we have all made our way to IUP with the goal of obtaining a Master’s Degree in Applied Archaeology. 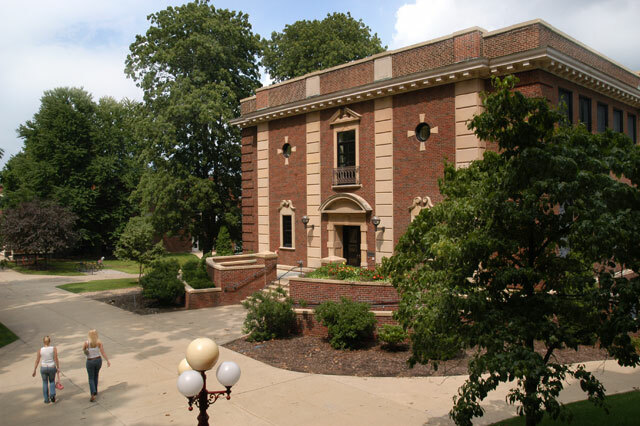 McElhaney Hall, home of IUP Archaeology and record holder for most all-nighters ever pulled in one building. By why IUP? I asked several of our current students why they chose this program, and many of them responded with the same general consensus – that the program had a focus on applied methods and was geared toward getting students jobs. I also asked what their expectations were before they came to the program and how those expectations or their career goals have changed since arriving here. This question resulted in a number of different results. Everyone said that they expected there to be a lot of late nights, a lot of reading, a lot of learning, and a lot less fun. In terms of how their expectations and goals have changed, some said they have and some said they have not. Many of the first year students said that they did not expect to learn so much about CRM, but that they now have a better understanding of how they can reach their goals and are looking forward to learning more each semester. Responses from the second years were largely the same – their goals as they come ever closer to that rapidly approaching finish line are to get a job, and that this program has put them in a position to do just that. As a final question, I asked my peers what the best/worst/most surprising part of graduate school was to them. These were my favorite responses. Many of the first years said that the best part was the amount of knowledge they’ve gained in just a couple of months, as well as the professors and people they’ve gotten to meet and work with. The worst part, in their opinion, was the workload, which tied into the most surprising part – how quickly you can get through an impossible task when you have absolutely no other option. The second years had similar responses for the last two, but all of the students I asked had the same response for the first – the best part of the program is not only the education, but relationships they’ve developed with their professors and fellow graduate students. First years Jared and Sarah working hard in the lab (left), and second years Scott and Emily taking a moment to unwind (right). As for me, I came to the program with an odd amalgamation of field and laboratory experience that I had squeezed into my last two years of undergraduate school. I worked at a couple of historic sites and with more than a couple of historic collections, I 3D scanned and cataloged more artifacts than I can count, and I presented and published my work as much as I possibly could. I truly feel I made the most of my experience as a student, and I was looking forward to continuing to grow as a professional in this field that I love as a graduate student at IUP. Getting screens ready for the field! I chose IUP because, like many of my peers, the applied focus of the program appealed to me. I had a fair amount of experience in academia as an undergrad, so I felt that a program that focused more on field methodology would be the most beneficial to me. I expected graduate school to be challenging, but I had no idea how much. My expectations changed dramatically upon coming here. I experienced more stress than I ever thought was possible in my first year, but by the end of the first semester I had learned more than I did in four years of undergrad. I am still constantly amazed by the amount of knowledge and experience I have taken away from this program, and I still have a semester and a half left to go! While my goals have not changed much, I now have more confidence in my ability to get a job and to excel as a professional. As for the best/worst/most surprising part of graduate school… I think the worst part was the stress, which took me a little while to learn to manage. The most surprising part was that I did manage, and that I have continued to survive despite the ridiculous amount of work that I keep piling on top of myself. I am also surprised by how much I’ve learned, and how much I still need to learn. The best part, as my fellow students said, is the people. Grad school would be a much different beast without the incredible support system I have at IUP, and I am so grateful for the people in my cohort and to my professors for constantly pushing me forward. This year has been a busy one for everyone at IUP so far, and I am looking forward to sharing more of our experiences with you as the semester progresses! This entry was posted in Grad School and tagged archaeology, graduate school, iup. ← How Metal is Archaeological Theory?